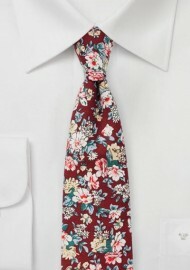 This burgundy cotton tie is imprinted with a romantic rose print in pink, light blue, green, and peach. A great summer tie to add to suits in gray, navy, and tan. 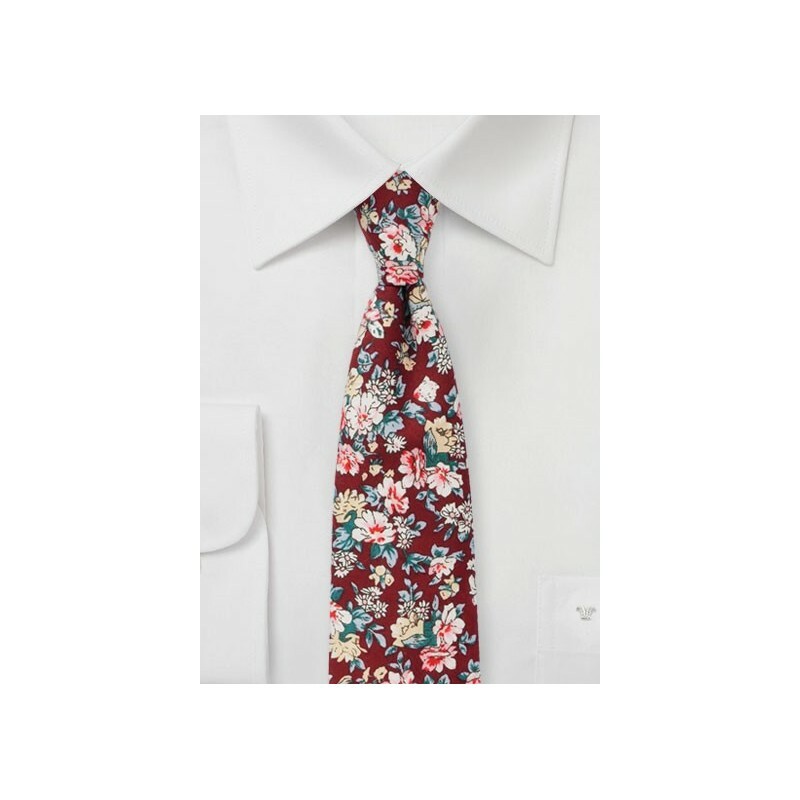 Beside wearing this tie with a full suit, you will also have great success pairing this tie with just a button up shirt, jeans, and V-neck sweater, cardigan, or vest. Handmade from printed cotton by BlackBird designer neckwear.